The government’s data on payments to doctors and hospitals by drug and device makers is incomplete and hard to penetrate – but here’s a first look. The federal government unveiled data Tuesday detailing 4.4 million payments made to doctors and teaching hospitals by pharmaceutical and medical device companies. Calculated by the value of the payments, the redactions were even more extensive. 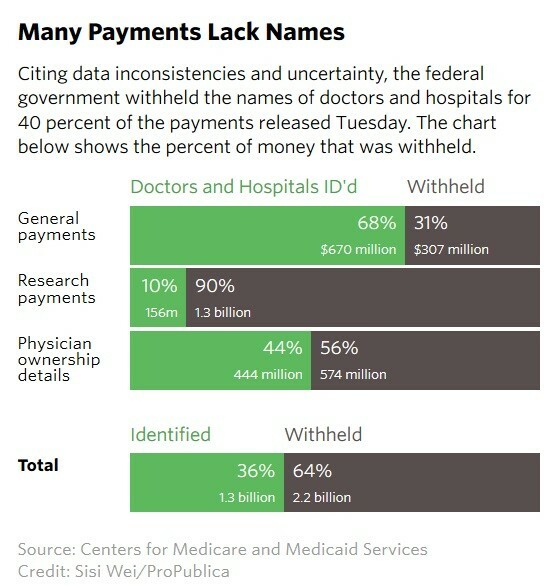 About 64 percent of the total spending by companies wasn’t attributable to a particular doctor or hospital (the names, addresses and other identifying information were removed). 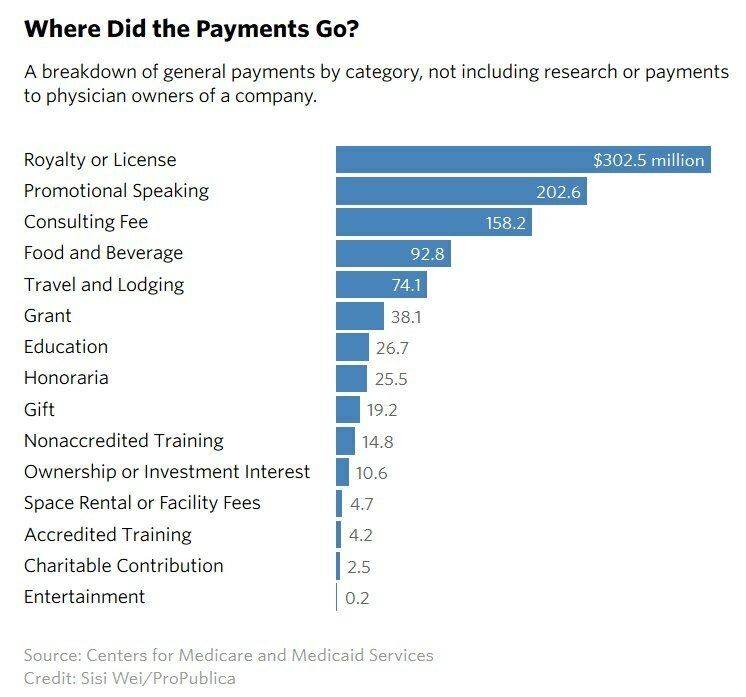 This was particularly true for research payments—90 percent of the value of those payments went to unnamed doctors or hospitals. 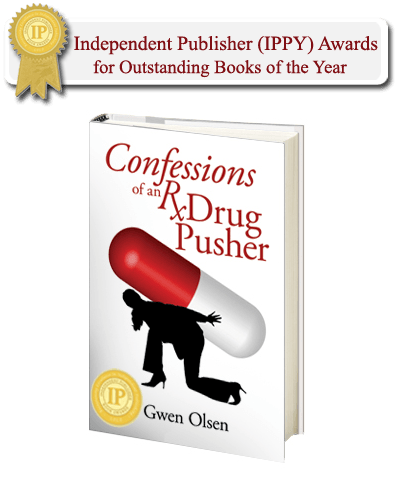 ProPublica has been tracking pharmaceutical company payments to doctors since 2010. This week, we updated our Dollars for Docs tool to include payments from 17 drug companies for the 2013 calendar year. You can search for your doctor by name.Ryann Grochowski Jones and Mike Tigas contributed to this report.Like this story? Sign up for our daily newsletter to get more of our best work. *LIKE*... ...000110accessAffordableAffordable Care Actanklearticlebig pharmabookcallscareCentersCodecompaniescompanyconditionsConsultingconsumerscountriescountryCourtesyDailydatadifferent waysdocsdoctordoctorsdollarsdrugdrug companiesdrugsemailfederal governmentfractionGenentechGeneralgeneral paymentsglancegovernmentgroupsHospitalhospitalsinboxinconsistenciesindividualinformationinstanceinvestorsissuesit.JoneslawLearnlookM.D.medical devicemedical doctorsmoneymonth.namesNew Open PaymentsNew YorkNewsnewsletterNo.numbernumbersofficialsone-thirdopenOpen Payments websiteoptionsParispaymentspercentperiodpharmaceuticalpharmaceutical companiespharmaceutical companypharmaceutical company paymentsphysicianphysiciansplaceplatformPM MDT4 COMMENTS|problemsprovidePublishedReadrecordsreleasereportreportingresearchresearch paymentsrestresultsrightsalesSEARCHservicessharesignsitespendingstoryteaching hospitalsto.TorontototalUpdatedusersvaluevarietywaywaysWebsiteworkyou.